The UMass Lowell men’s basketball team will play five out of their last seven games on the road to finish the regular season. They began their three game road trip this past Saturday night as the River Hawks (13-12, 5-5) paid a visit to the Stony Brook Seawolves (20-5, 8-2). Senior Seawolves guard Jaron Cornish would be the story of the game as he dominated the River Hawks for a career high 30 points and six rebounds. On the other end, redshirt guard Christian Lutete would finish with 19 points and 14 rebounds for the River Hawks in a losing effort. The River Hawks were looking to build off an impressive, short-handed victory against the New Hampshire Wildcats this previous Wednesday night. Sophomore guard Obadiah Noel would return for the River Hawks, but they would unfortunately still be without senior co-captain guard Ryan Jones. Jones is still dealing with an ankle injury. The visitors have had their problems shooting the basketball at a high percentage on the road all year. The Seawolves held the River Hawks to 26 percent from beyond the arc and under 40 percent from the field for the game. The River Hawks were able to stay competitive until the very last few minutes through proper defense and a solid night from the free throw line. The undersized visitors would battle to a 35-37 rebounding differential with the Seawolves. They would also finish the game shooting 17-21 from the charity stripe. 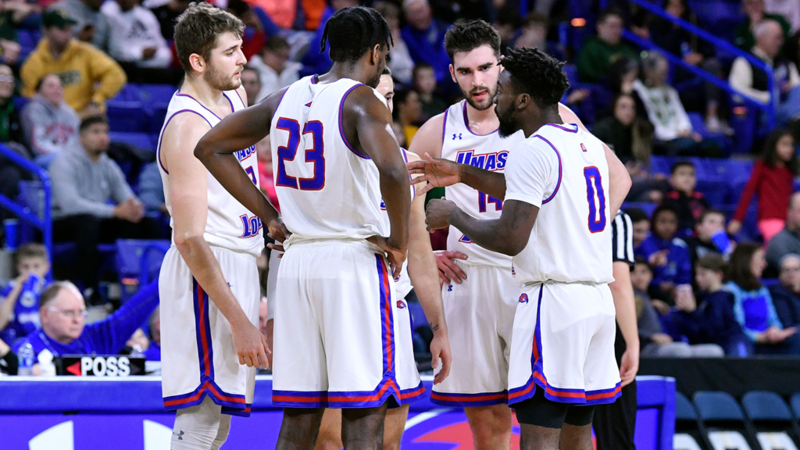 The River Hawks will look to bounce back Wednesday, February 13th, as they continue America East conference play against the Albany Great Danes.